Tribute is the benchmark for The Harper Arms regulars. A favourite choice throughout South West England as well as being one of the fastest growing premium cask ale brands in the rest of the UK. 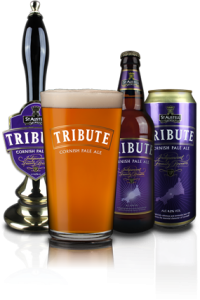 Tribute as it’s light, hoppy, zesty, easy to drink and consistently delicious. Recently available on draft in a few good pubs in Reading as well as the pub at the top of the stairs in Paddington Station!